Our reputation is built on quality. Lonseal flooring is manufactured in a facility that is certified to ISO 9001, JIS Q 9100, and ISO 14001 standards. 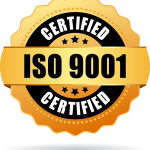 ISO 9001 is the standard that sets the criteria for developing a quality management system (QMS) in an organization. It is used as the basis for the development of the International Aerospace Quality Group (IAQG) published standards AS9100 and AS9120. JIS Q 9100 is equivalent to AS9100, and sets the criteria for an organization to develop a QMS related to the aviation, space, and defense industries. This standard helps an organization develop processes to monitor and continually improve its design, development, operation, and production aspects. These processes are used to ensure customer satisfaction and that received products meet all their necessary requirements. Lonseal flooring is distributed from a facility that is certified to ISO 9001 and AS9120 standards. 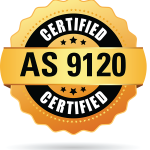 Similar to AS9100 (JIS Q 9100), AS9120 focuses on organizations that are Stockist Distributors. While intended for distributors to the aviation, space, and defense industries, it still focuses on the development of processes that can be monitored and continually improved to ensure customer satisfaction and that received products meet all their necessary requirements.